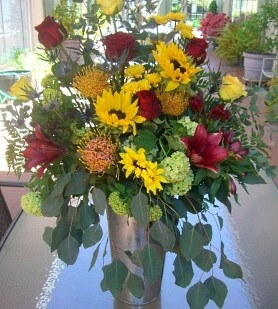 At ANNIE'S FLORAL, We Customize Designs with YOU in Mind! Offering classic & traditional, modern & trendy, soft & romantic and unusual & offbeat... from tropicals to carnations... simple, yet sublime! 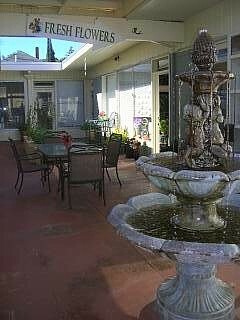 We're a local Cloverdale, California florist delivering courteous, professional service and the highest quality floral & gift items around. For several years, our shop has offered long-lasting flowers designed to complement any occasion and meet your budget and style expectations as well. Dedicated to our customers and the feelings they want to express. We also offer Daily Delivery to All Local Hospitals & Funeral Homes. Our beautiful selection of flowers and design styles are sure to bring rave reviews on your wedding day or any festive occasion. Call 707-894-4044 in advance to schedule a consultation. We strive to make your day picture perfect – adding that special touch to every event. 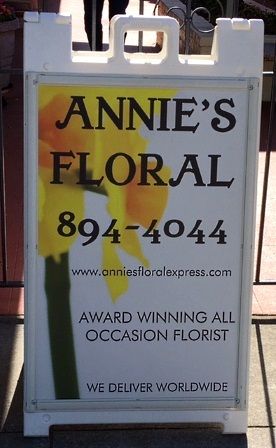 You can depend on the staff at Annie's to help you choose just the right flowers for the funeral of a friend or loved one. We'll design and deliver an arrangement that beautifully conveys your expressions of sympathy and serves as a lovely tribute to the deceased. Plush Stuffed Animals, Baby Items and more! Call or visit us today… we look forward to meeting you! 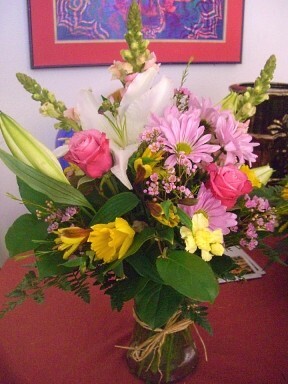 Thank you for visiting our website for flowers delivered fresh from a local Cloverdale, CA flower shop, Annie's Floral.